Our edible garden is coming along in leaps and bounds, we have lots of herbs now so if you want mint, spearmint, thyme, chives, nastursium, rosemary, tri-colour sage, marjoram or curly parsley please come along and help yourself. Our fruits trees and bushes are young but we do have apples on one of the trees so I foresee apple muffins at some point in the future! We intend to have a go at drying some of the herbs and freezing others so we should have them available all year round. The whole idea is that all the fruits and herbs will be readily available to our members and once we get really going to the wider community. We are very pleased to be supported by the F4SF who donated a lovely Bay tree and by our local Dobbies Garden Center who are donating some water butts to us so we can use rain water for our tubs when possible. 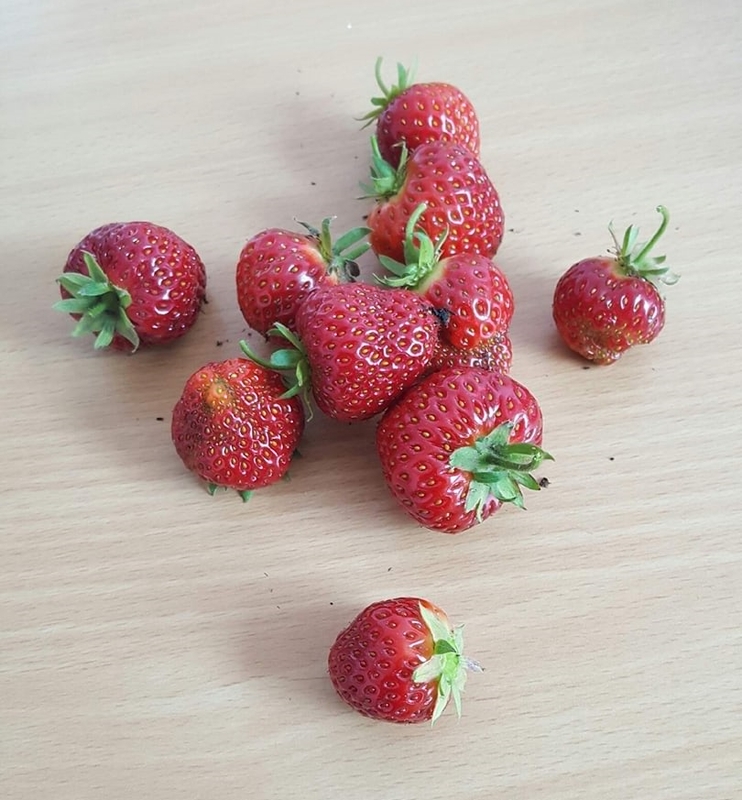 We have also had some fantastic donations from members and their families – if it’s edible we are willing to try and grow it! Many thanks as always to the Gardening Guru team of Anne and Mary for all their help and advice.